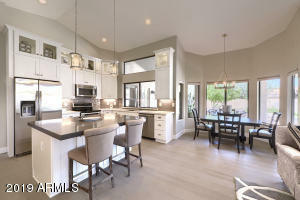 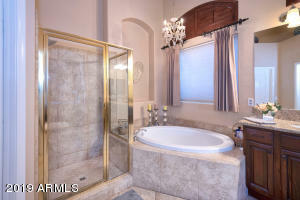 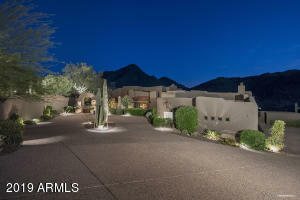 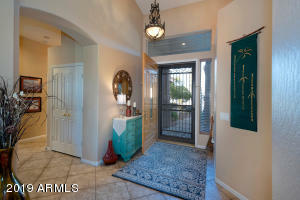 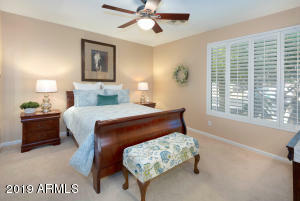 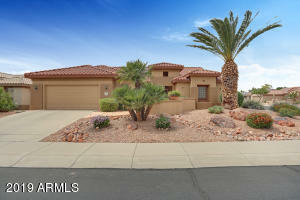 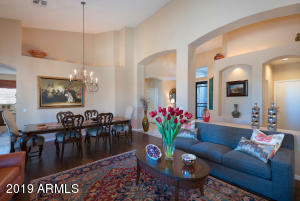 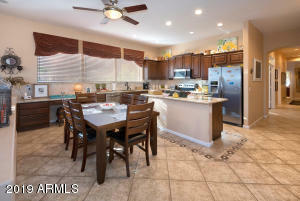 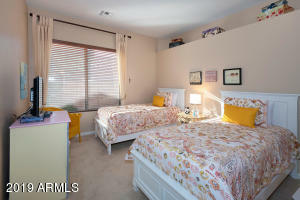 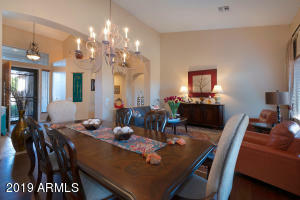 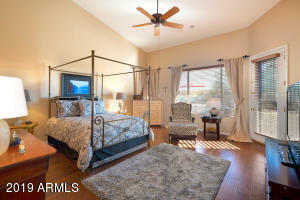 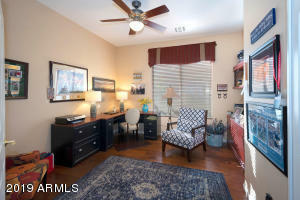 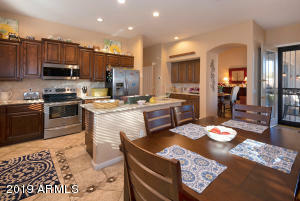 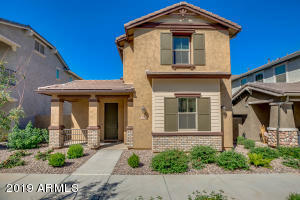 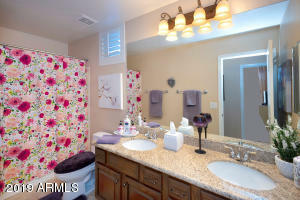 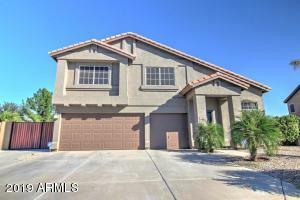 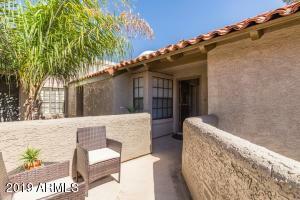 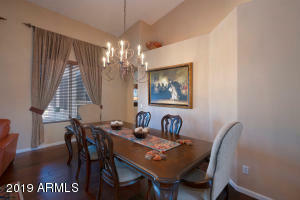 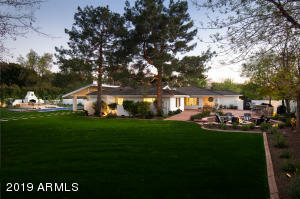 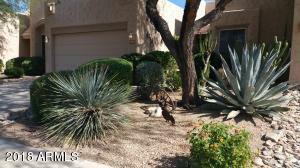 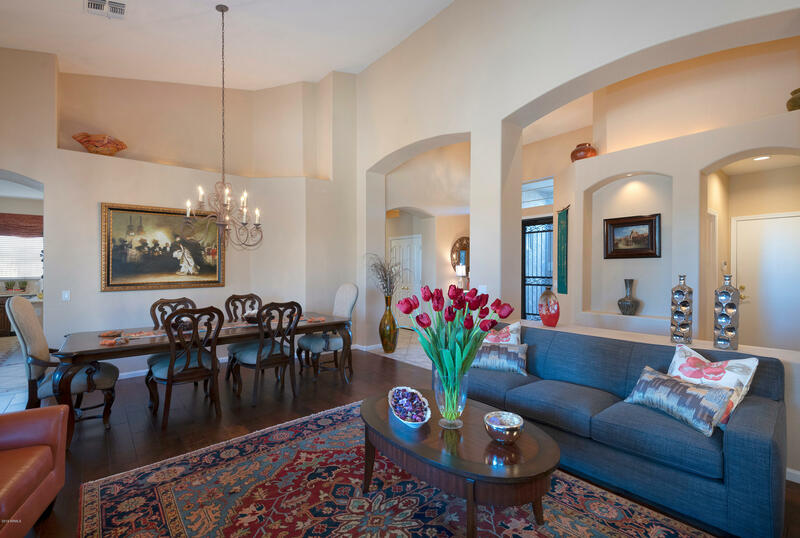 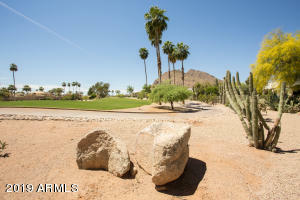 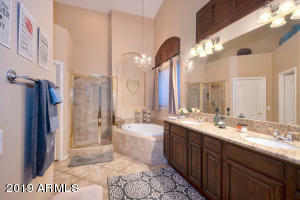 Single level, 4 bed, 3 bath, 3 car garage home in the gated community of Colina Del Norte. 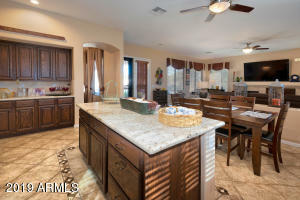 Home features formal living & dining room, family room w/ gas fireplace, kitchen w/ large island, SS appliances, granite counters & back splash, plenty of cabinetry & window treatments, blinds, shutters & security doors throughout. 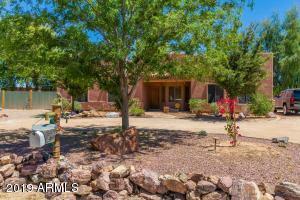 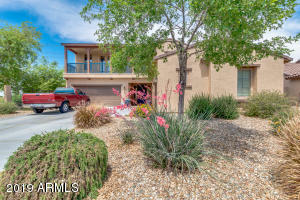 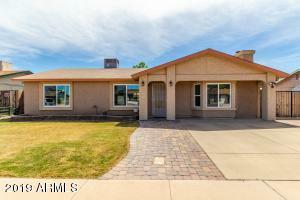 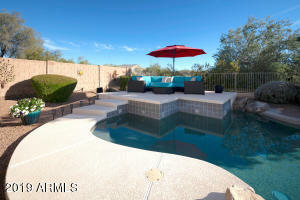 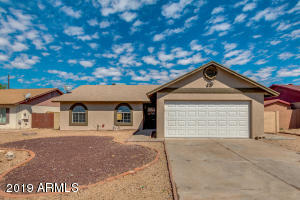 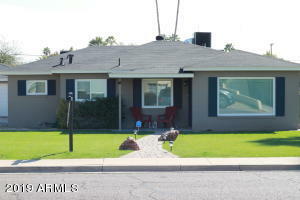 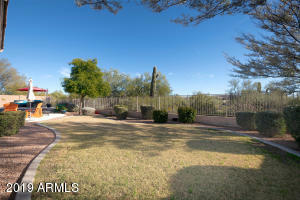 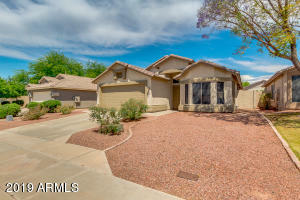 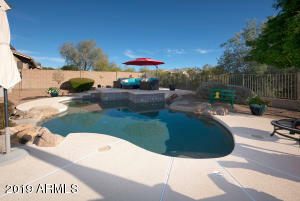 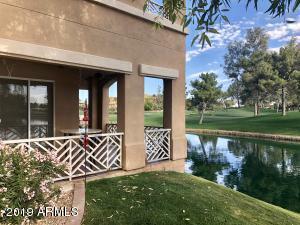 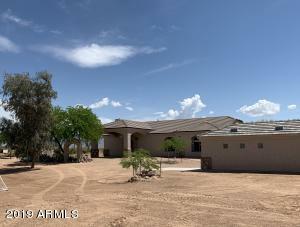 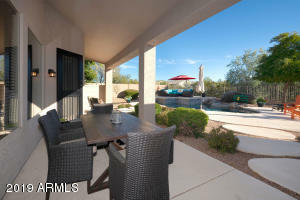 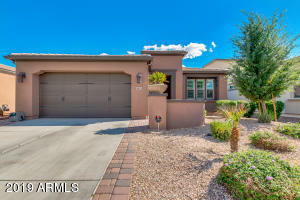 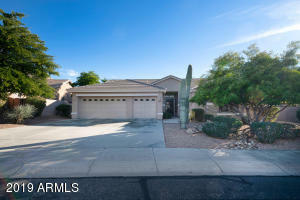 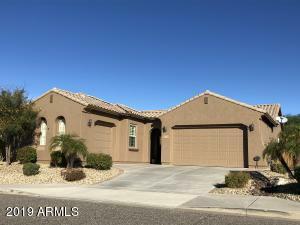 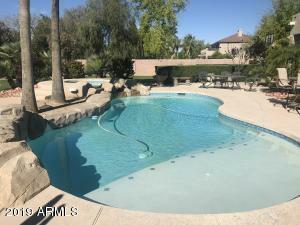 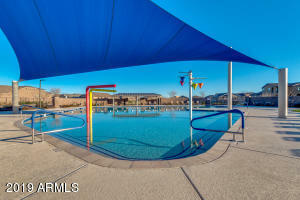 You'll love the huge backyard boasting lush landscaping, sparkling pebble tec pool w/ water feature & self cleaner, extra patio space for lounging, large covered patio & huge grassy area, all backing to desert wash for privacy & great views. 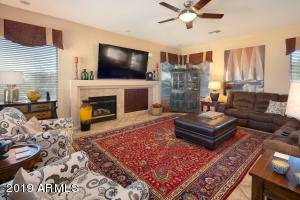 Also included in the sale is an 80'' flat screen, 3D, HDTV & surround sound throughout. 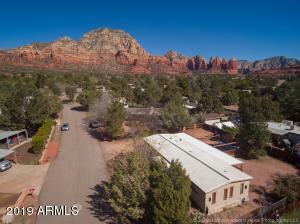 North on Cave Creek Road, East (Right) on Sleepy Ranch Road, through gate, North (Left) on 50th Street, East (Right) on Sleepy Ranch Road to third home on Right.